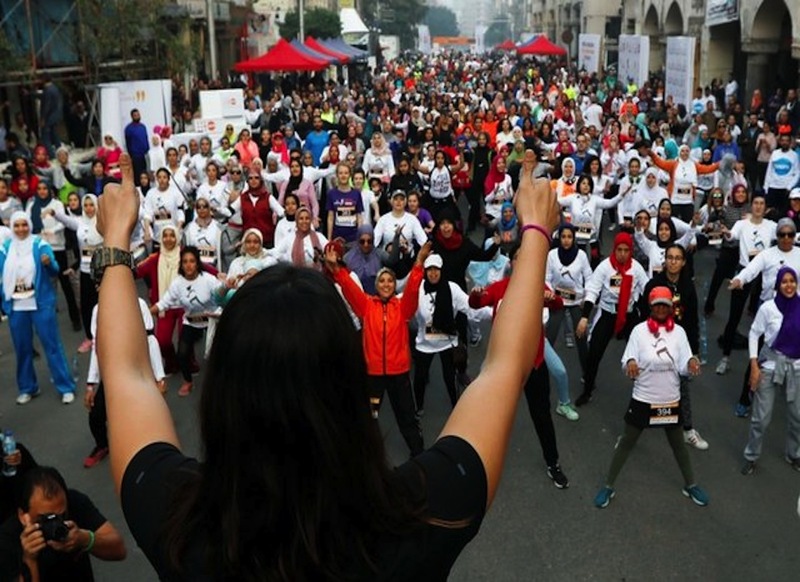 In collaboration with the National Council for Women, the Ministry of Youth and Sports and the United Nations Population Fund in Egypt, Cairo Runners organised on Friday the first all-women’s race to campaign for ending violence against females. The 8-km race took place in the Heliopolis district of the Egyptian capital and featured hundreds of runners, Reuters reported. The event also aimed to encourage women and girls to feel free and comfortable running in public spaces. Nada Gamaleldin won the race in 38 minutes and 40 seconds, followed by Noran Gamil and Amany Khalil. “I came to this race today so that all women can run in the street without any fears or worries,” Amany Khalil told Reuters. Earlier last week, a new campaign for the first time in Egypt was launched to raise awareness to combat sexual harassment in Egypt. The campaign was produced by the multi-award-winning social start-up Bassita and mostly funded by leading Egyptian real estate developer SODIC. It is composed of offline and online elements, with an awareness video featuring Egyptian actor and musician Hany Adel as well as actress Menna Shalabi, which encourages the community to support the victim and to take immediate action against the harasser.